Incredible Thai food that came fast and hot! They even delivered a Thai iced tea which no other place will do. Will order from them again anytime. Plus, I asked for very spicy and it came very spicy. No other place ever brings it spicy when you ask. Little Thai Kitchen worked hard to ensure we had a perfect meal! I've had several dishes from LTK and enjoyed all of them, especially the drunken noodles. The dishes are not very spicy by default so ask for extra spice if you like that. Excellent Thai food for this area and prompt delivery! The gentleman who delivered the food was very courteous and the food was delicious. Great food. Great customer service. Everything ordered was fresh and awesome. 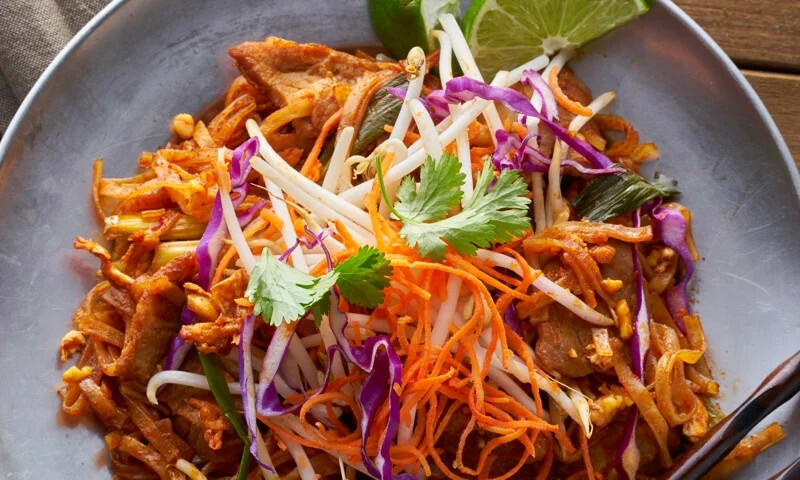 Even the "go-tos" like pad thai are super! Consistently good, very quick with takeaway as well as delivery. Have ordered many times, never an incorrect order. My go-to restaurant for delicious Thai food! Great service, always on time, and a very, very nice delivery guy. Fantastic! Handled my dietary restriction (no salt) admirably. Food was incredibly tasty. My new favorite! My food always comes in the estimated time lapses, and it tastes amazing. Great food, and great delivery. Everything came quickly, and was delicious. Try the Curry Puffs... they are our favorite. Whether you're craving a quick bite or looking to treat yourself to a delicious meal, you can now order your Little Thai Kitchen favorites for takeout or delivery.